Having a get together? Set out an array of fresh-cut vegetables for snacking, but replace the ho-hum ranch dressing with the rich almond flavor of this delicious dip. 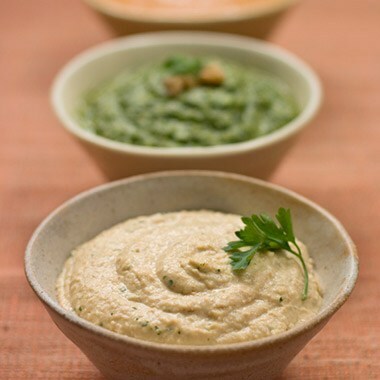 You can also use it to liven up your dinner menu – simply warm and serve as a sauce over steamed broccoli or asparagus. Whisk all ingredients together in a small bowl. Use as a dip for vegetables such as celery, carrots, bell peppers, broccoli, cauliflower, and cucumbers. This dip can also be used as a sauce over steamed vegetables – great with asparagus or broccoli.